It's easier than ever to save with Bristol holiday packages on Expedia. You'll have loads more time to plan the exciting stuff — and more spending money! Savvy vacationers who book a package deal on Expedia will save as much as 15%*. Our expansive database features more than 400 partner airlines and 321,000 worldwide properties. With such a fantastic range of options, you can't go wrong! You can cancel or change almost any hotel reservation and you won't have to pay a cancellation fee to us. Getting fired up about your trip to Bristol? Want a few hints about what to do while you're there? That's where we come in! Home to wonders such as St. Peters Church and Clifton Suspension Bridge, there will never be a dull moment in this energetic metropolis. When you're done experiencing those, move on to the SS Great Britain and the Bristol Zoo. Spend your Sunday morning at Bristol Cathedral. While you're here, why not take the time to sit and enjoy a bit of quiet reflection. There's a great range of things to keep you busy in this destination. For years, man has built imposing structures for a whole host of reasons. Come and learn the story behind Cabot Tower — it's not difficult to find! Still got some time on your hands? Great theatre can challenge the way we think and asks us to aspire to bigger things. Catch a play at Bristol Hippodrome Theatre and expand your way of thinking. Before you jet off to Bristol, secure a nice bed on Expedia. You'll have no less than 60 accommodations to choose from — your next luxury getaway or cheap holiday awaits! After a long-haul flight, there's nothing more pleasant than kicking back in a fancy room and ordering some room service. See what tasty treats await you at the Hotel du Vin & Bistro Bristol (Narrow Lewins Mead) or the Bristol Marriott Royal Hotel (College Green). If you don't fancy coughing up such big bucks, why not spend your evenings somewhere more affordable? 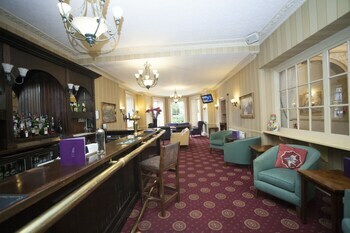 Consider the ibis Bristol Temple Meads Quay (Avon Street) or the Victoria Square Hotel (29 - 30 Victoria Square). Get through security, board the aircraft, stow your bags in the overhead locker and settle in for the flight! Your well-deserved trip to Bristol isn't too far away. 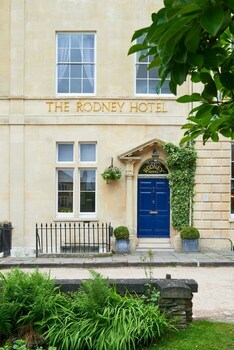 After coming in to land at Bristol International Airport (BRS), you'll be 7 miles (11 km) from the buzz of the main streets. This historic theater offers a wide variety of entertainment, from West End productions and Broadway shows, to traditional pantomimes and opera. Meet a science expert, carry out a DNA extraction and make a TV show; the hands-on activities at this science center will keep children entertained for hours. Both striking and practical, this bridge has long been the symbol of the city of Bristol. Go on a discovery of land and sea animals from all corners of the globe at this superbly presented zoological park. Climb aboard this museum ship to learn about its long and eventful life at sea. From Egyptian mummies to a stuffed gorilla and works by Old Masters, this museum explores life on Earth from its earliest days. Bristol’s oldest market is still very much alive with merchants and shoppers. Wednesday, Friday and Saturday are the best days to visit. This ruined 12th-century church stands as a World War II memorial and features a garden filled with varieties of medicinal plants. Walk the grounds once traversed by royalty, dine in a dungeon and spend the night in a room fit for a king. Located in Harbourside, this spa hotel is within 1 mi (2 km) of St Nicholas Market, University of Bristol and Cabot Circus Shopping Centre. Clifton Suspension Bridge and Ashton Gate Stadium are also within 2 mi (3 km). Bristol Temple Meads Station is 21 minutes by foot and Bristol Clifton Down Station is 24 minutes. 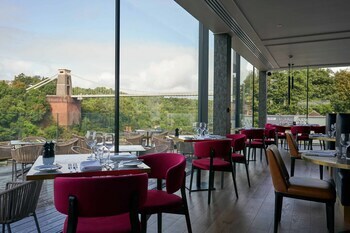 Situated near the airport, this hotel is within 9 miles (15 km) of Chew Valley, Clifton Suspension Bridge and University of Bristol. Ashton Gate Stadium and Bristol Zoo are also within 9 miles (15 km). 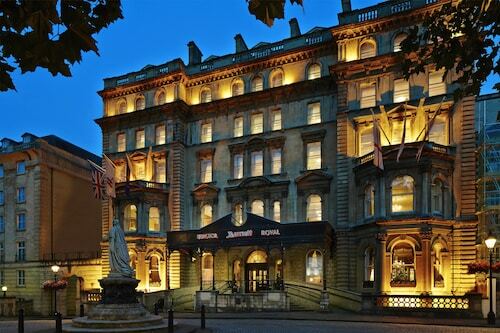 Located in the heart of Bristol, this hotel is steps away from Showcase Cinema De Lux and Cabot Circus Shopping Centre. University of Bristol and St Nicholas Market are also within 1 mile (2 km). Bristol Temple Meads Station is 18 minutes by foot and Bristol Montpelier Station is 19 minutes. 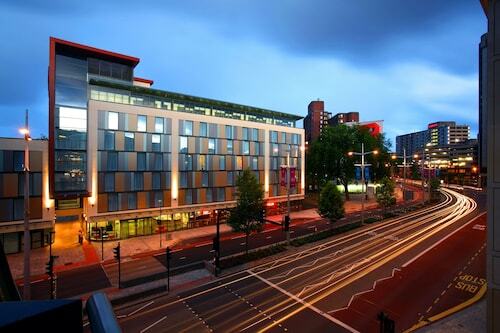 Located in Bristol City Centre, this eco-friendly hotel is steps away from Baldwin Street and Bristol Hippodrome Theatre. St Nicholas Market and Cabot Circus Shopping Centre are also within 15 minutes. Bristol Temple Meads Station is 18 minutes by foot and Bristol Bedminster Station is 23 minutes. 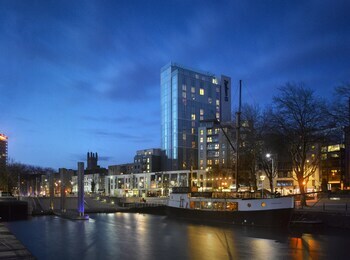 Located in Bristol City Centre, this hotel is within a 5-minute walk of Castle Park and Cabot Circus Shopping Centre. St Nicholas Market and Bristol Hippodrome Theatre are also within 15 minutes. Bristol Temple Meads Station is 13 minutes by foot and Bristol Montpelier Station is 21 minutes. 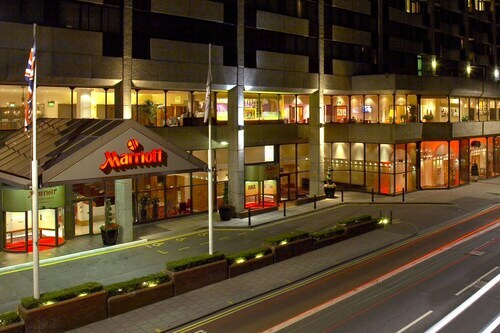 Located in Filton, this hotel is 1.5 mi (2.4 km) from Southmead Hospital and 2.3 mi (3.7 km) from The Mall at Cribbs Causeway. 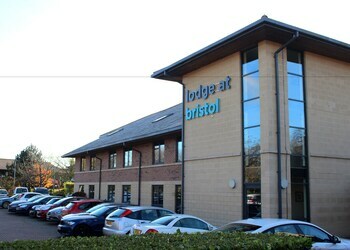 University of the West of England (UWE Bristol) and Aztec West Business Park are also within 3 miles (5 km). Bristol Filton Abbey Wood Station is 17 minutes by foot. 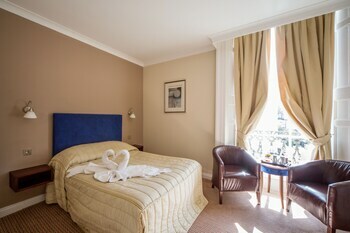 Located in Bristol City Centre, this romantic hotel is within a 5-minute walk of Queen Square and Bristol Hippodrome Theatre. University of Bristol and St Nicholas Market are also within 1 mile (2 km). Bristol Temple Meads Station is 16 minutes by foot and Bristol Bedminster Station is 20 minutes. Belfast Intl. - Bristol Intl.